For megastar it was a baap of all comeback. He got the best comeback line with 'Boss is Back'. The remake of Tamil film 'Khatthi', 'Khaidi No 150' became one of the biggest hits of the year. Chiranjeevi shone in dual roles. With age his dance moves have not deteriorated. He looked glamorous and has now moved on to his next film 'Sye Raa Narasimha Reddy'. He once again proved that he is an actor with mettle, with his film 'Gautamiputra Satakarni'. Nandamuri Balakrishna started of the year with success. The character that he played fit his image perfectly. This film went on to become a biggest hit of his career. But towards the end of the year he gave a forgettable film 'Paisa Vasool'. Now the actor is gearing up for his next big release 'Jai Simha', which will release during Sankranti 2018. Powerstar mesmerized in his panchekattu avtaar with the film 'Katamarayudu'. Post the release of this film he was concentrating on his political career. But nothing concrete emerged there as well. Pawan Kalyan has already created enough buzz with his upcoming film, 'Agnyaathavaasi'. This Trivikram's directorial film will be releasing on 10th January. Looks like the film will go on to become one of the biggest hits of his career. What an astounding year for the Baahubali star. Prabhas starrer 'Baahubali 2' went on to become a national phenomenon. The film carved a space for itself in the internationl markets. Prabhas gave a glorious five years for this film and it was definitely worth every moment of it. The actor has now started shooting for the action thriller 'Saaho'. Sujeeth is directing this film which has Shradha Kapoor as its leading lady. Post this film he will start shooting Radha Krishna’s period romance. No one can forget the one-man show 'Duvvada Jagannadham'. It was dual characteristics, one that of a Brahmin guy and the other of do gooder. His dialogue laced with Sanskrit language became the talk of the town. DJ was an instant hit on YouTube and satellite as well. The Hindi version roared. 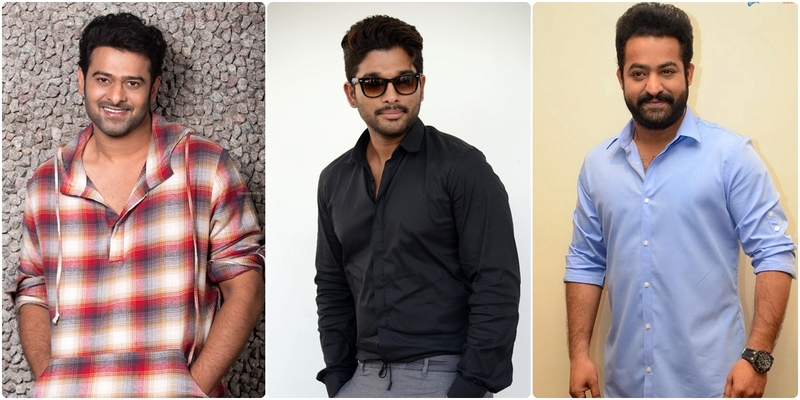 Now Allu Arjun is busy working for his next film 'Naa Peru Surya', which has locked summer as its release date. 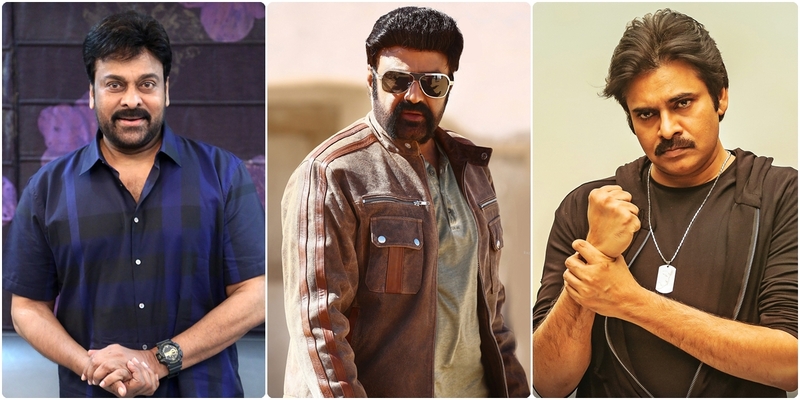 The triple avtaar in 'Jai Lava Kusa' became the talk of the town. One of the characters in this film was influenced by the mighty Ravana. The film did well. NTR also won the Nandi award in the best actor category for the films Nannaku Prematho and Janatha Garage. But it was anchoring the television show 'Bigg Boss' that made him the darling of every house. It elevated his star status to a different level all together. He was a part of one of the costliest movie that collected Rs 160 Cr before the release of the film. Trade pundits predicted that this film will create big business at the box-office. But nothing like this happened. Mahesh Babu starrer Spyder was not appreciated. 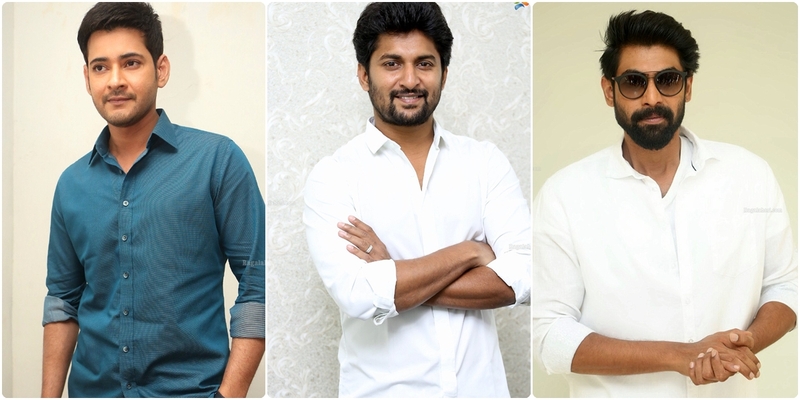 He then moved on to his next film 'Bharath Ane Nenu', which is being directed by Koratala Siva. The film has now been locked for summer release. We will now have to see if this film will give Mahesh Babu back his dented star status. He is called Natural Star and he has proved that he is just that. He started of his hit innings with the film Nenu Local. A biggest hit of his career we must say. Then we saw him Ninnu Kori. As the year was coming to an end he came with MCA and this was another huge hit for Nani. The natural actor also ventured into production with the film 'Awe'. Rana was one of the highly successful actors of Tollywood in 2017. He shot to fame with Baahubali 2. One cannot forget his astounding performance in the film. There was no looking back for Rana. He was seen as a patriotic naval officer in 'The Ghazi Attack' and 'Nenu Raju Nene Mantri' followed. All the film did well. Rana has now moved on to a multi-lingual thriller 'Haathi Mere Saathi'. News is that he will be also seen in a Hollywood period drama. 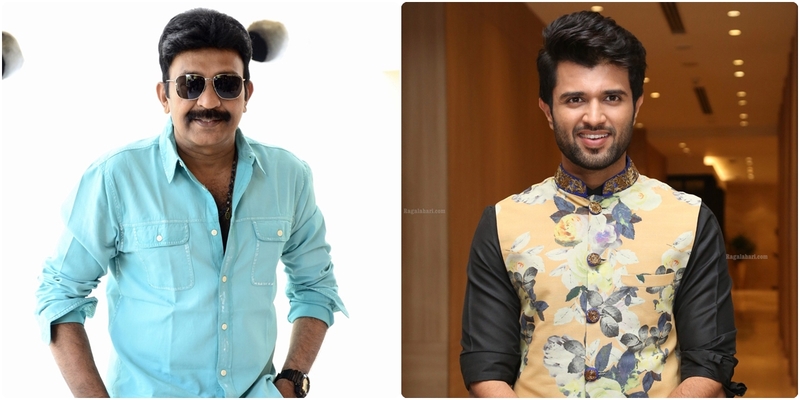 No one thought that Rajasekhar would made such a massive comeback. Rajasekhar started a new chapter in Tollywood with the film Garuda Vega. He was perfect in the role of NIA officer. The role suited him well. Now he is looking at roles that will suit his image. This year was very lucky for Vijay Devarakonda. He gave us the blockbuster "Arjun Reddy". The film was appreciated by all. Some actors went on to say that it is their favorite film. Arjun Reddy gave Vijay Devarakonda star status. He is now a part of many films.